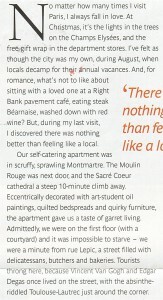 Our appartments and spaces ? 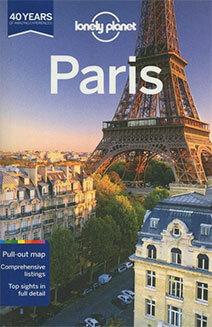 Five wonderful jumping off points for your visit to Paris. 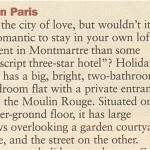 Better than a hotel, your very own appartment in Paris Montmartre. 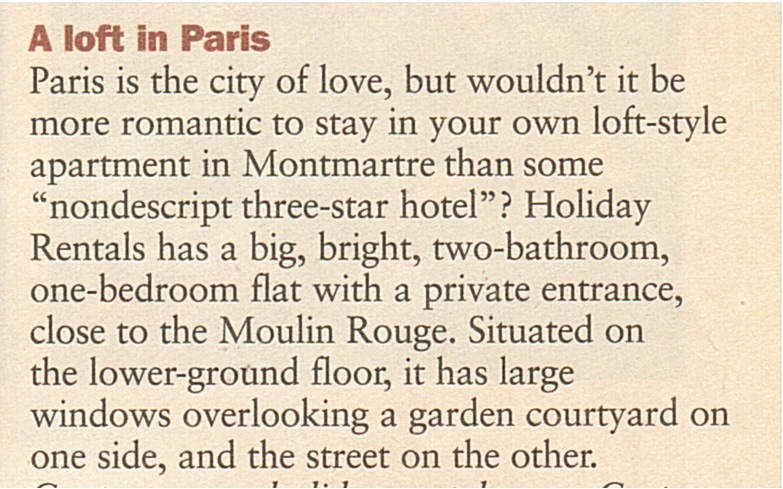 These unique spaces have been selected by le Figaro, the Sunday Times and the Marco Polo travel guide for daily, short-term and weekly rental in Paris. 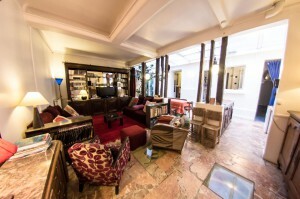 Five spaces in total, le Duplex, la Suite, le Top, le Studio and le Mini are situated on a quiet cul de sac in the Montmartre neighborhood. Each features a private entrance guaranteeing privacy and peace. Kitchens are fully equipped with microwave, coffee machine, toaster, refrigerator and dishware. Linens are provided. Each space is equipped with a high-fidelity sound system and a wide variety of music as well as a TNT TV set and free wifi. 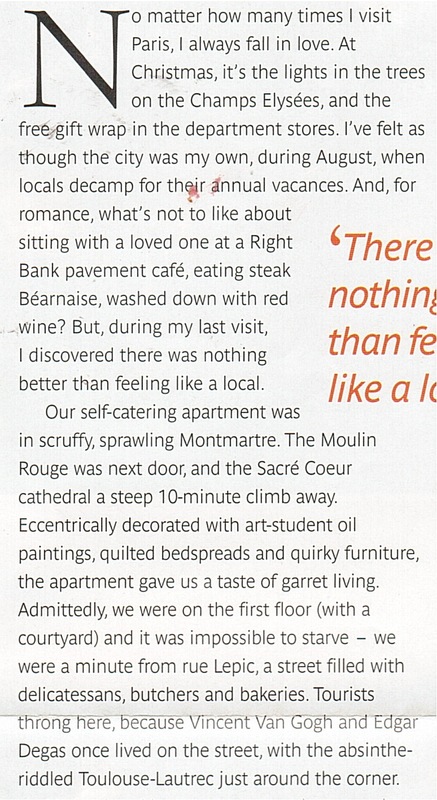 A cross between a hotel and a bed and breakfast, we provide a better way to discover Paris and Montmartre. Imagine what it could be like to experience Paris from the comfort of your very own stylish, yet traditional Parisian apartment. 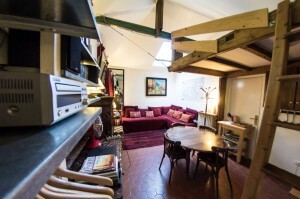 A 33 square meters ground floor space, a few meters away from the famous Moulin Rouge. 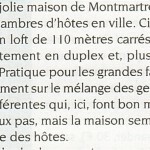 A 100 square meters ground floor space with a private entrance. 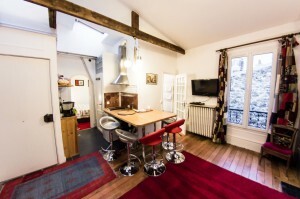 a luminous and comfy 45 square meters 4th floor appartment, in a Montmartre cul de sac. 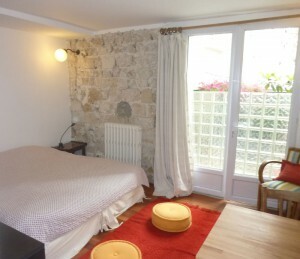 a 25 square meter ground floor space with a private entrance guaranteeing tranquility and privacy. 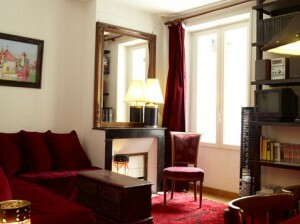 small but very cozy, and in the very heart of Montmartre.